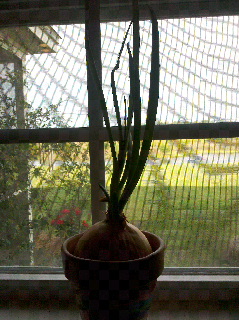 An onion started sprouting a bit, so I stuck it in a small pot on the window sill just to see how it would do. My amusing little houseplant may not last forever, but it's kinda cute. I'm curious if the sprouts are tasty.